after a great weekend at the Duke of Bavaria (we will make a report from the duke next week ) i´m painting on my next projekt. 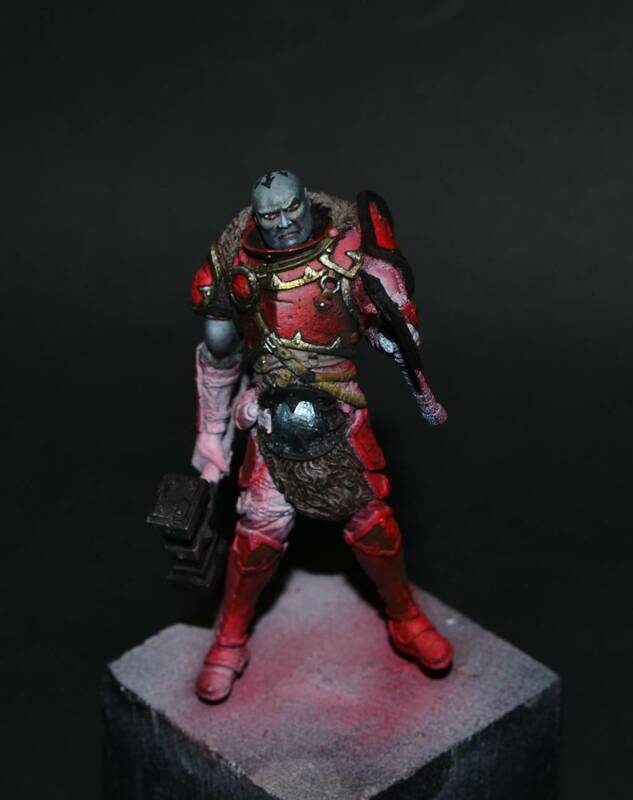 It is a chaos warrior in 54mm from "Forged Monkey". It is a grat miniature with a lot of opportunities. There was nearly nothing to prepare before painting because the quality is very very high.